Bergamot Tobacco fragrance. 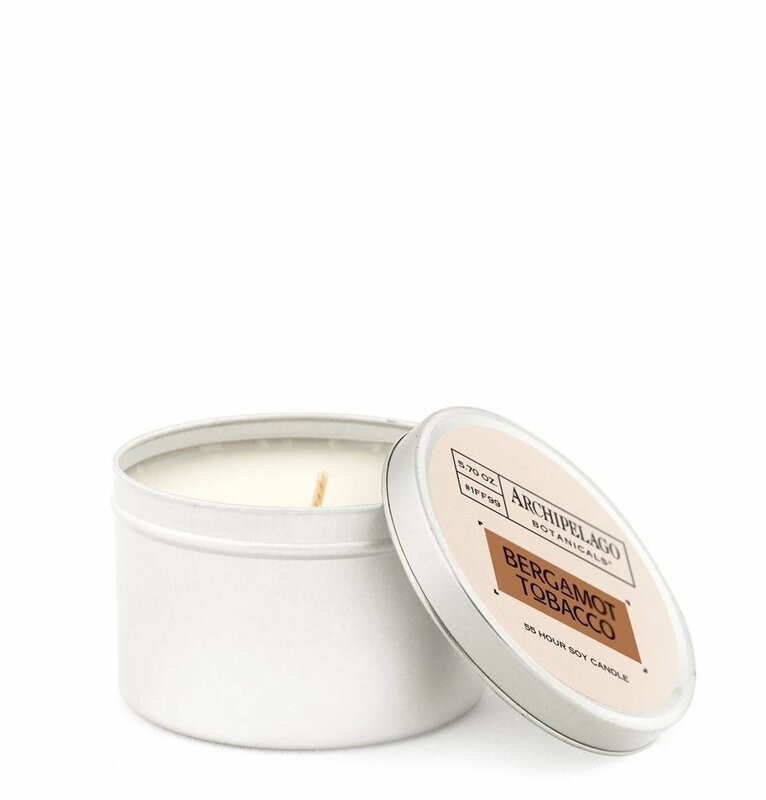 Convenient tin holds a hand poured soy candle. Use at home, in the office, or when you travel. Approximate burn time 55 hours. 5.7 oz. 2” tall, 3" diameter.